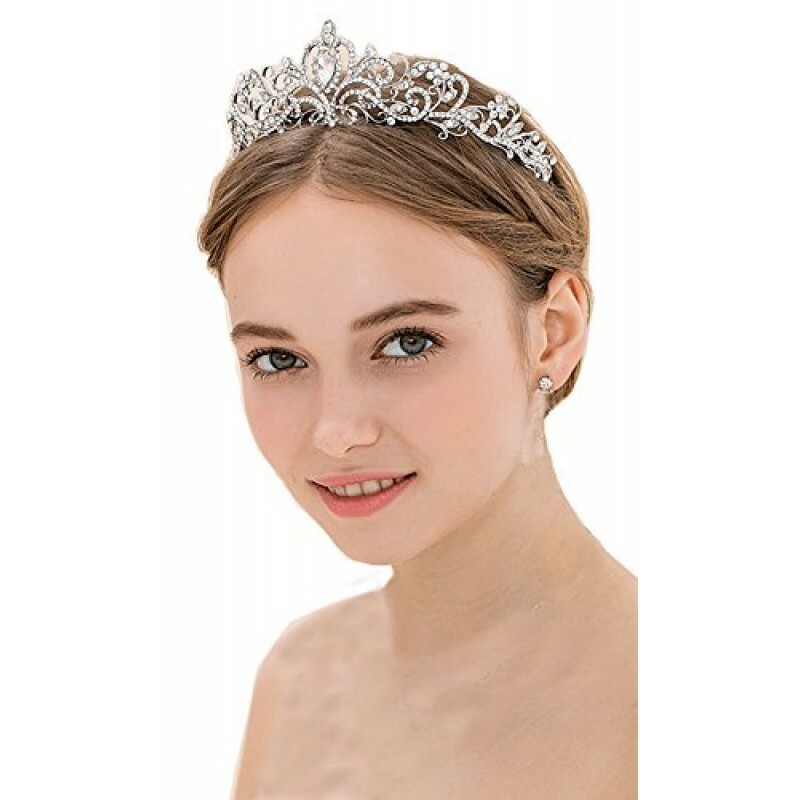 ** The Bridal Tiaras Color and Appearance: Bright silver; Elegant and simple design; This tiara is very sparkly and sturdy, catches the any light around it. Compatible with almost any hair style and match any gown perfectly. You will be a charming princess with it! 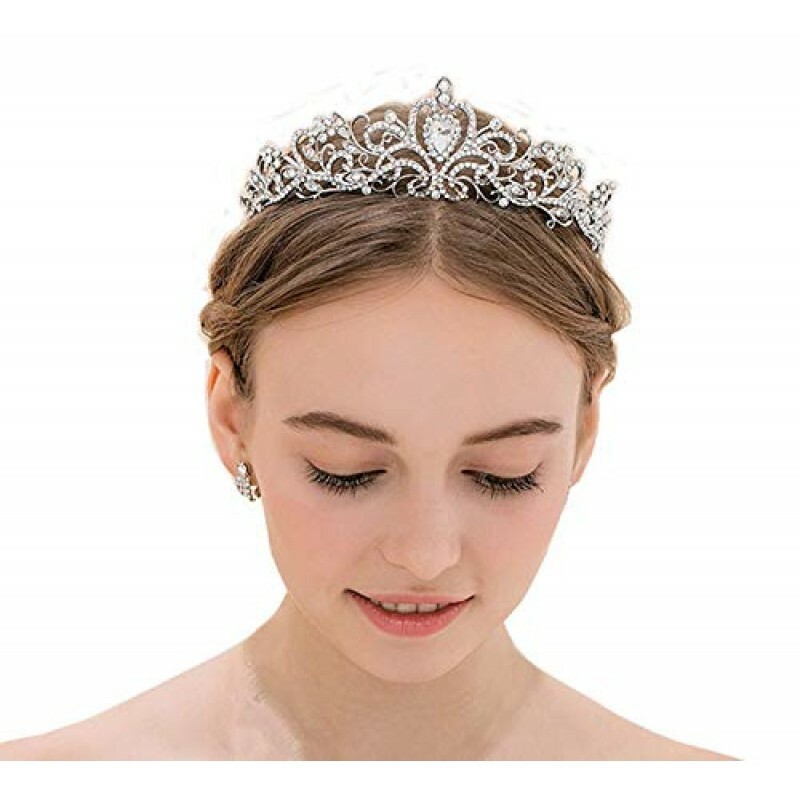 Features of this shining crown:Pins loops are located at each end to allow you to fasten the tiara easily to your hair with bobby pins; The rhinestones are very well bracketed; Durable hard alloy and rhinestone; Slowly and carefully bending to fit your head right; Can be reused again and again! 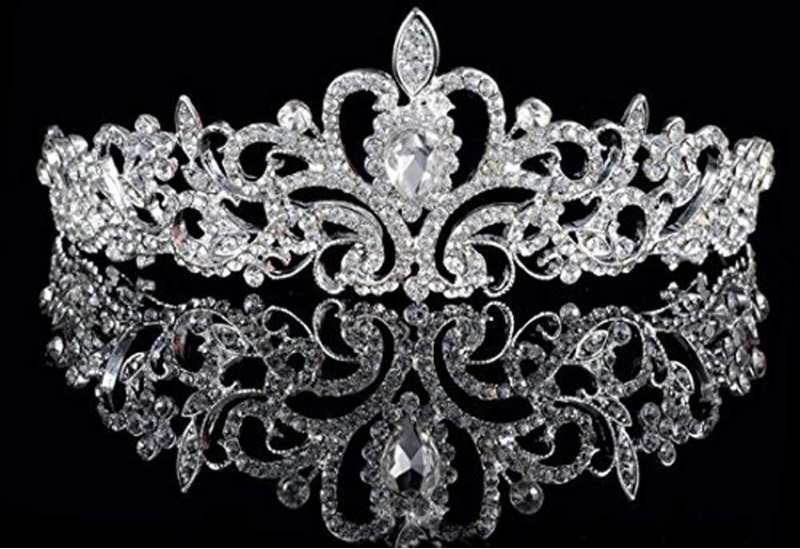 The Bridal Tiara 's Appearance: Elegant and simple design; This tiara is very sparkly and sturdy, catches the any light around it. Compatible with almost any hair style and match any gown perfectly. You will be a charming princess with it! Occasions for this pretty tiara: This jeweled tiara is the perfect accessory for various formal occasions: weddings, dances, performances, women's group activities, proms, parties, birthdays, engagements, pageants or any occasion you want to be more charming. ABOUT PRODUCTSDISTINCTIVE DESIGN: Gorgeous Retro Design, Fresh and Beautiful Shape, Sparking Embelli.. 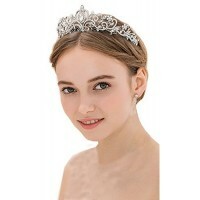 Product detailsSize: 1 packShipping Weight: 0.8 ouncesBrilliant rhinestone heart tiara, with silver .. Product detailsSize: Adult|Color: Rose Gold,WHITEDiameter: 17cm/6.7" Height: 4cm/1.6"Shipping W.. Product detailsMaterial: MetalSize: Approximately 2 inches in height, 5.9 inches in diameterColor: S.. Item specificsFine or Fashion: FashionItem Type: HairwearStyle: TrendyShape\pattern: PlantMetals Typ.. The Rhinestone Earrings Silver Necklace Set is made of Rhinestone and iron. Ideal for weddings, part..